"...adoption isn’t about ‘providing us’ with the children we didn’t have, it’s about us giving children a loving family home with the best parents for them." Adoptive parents need the same qualities as any other parent. Adoption offers children the love, stability and security of family life they may not have experienced before. Have confidence that you have what it takes! You will need to give your adopted child(ren) lots of individual time, understanding and support. Children who experience unmet physical and emotional needs early in life can have their later development adversely affected, perhaps requiring different parenting techniques to a birth child. That may sound daunting but there is plenty of support available, via your agency and voluntary support agencies. On a practical level, you will need to be able to support a child financially, though you don’t have to be a millionaire or even be a homeowner. 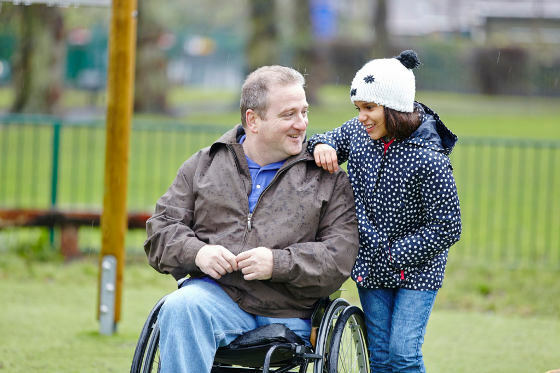 You can apply for tax credits and benefits to supplement your income when you adopt, and other financial help may also be available in the form of one-off or regular payments. When you first adopt one partner will be expected to take time off work for between six and twelve months to help the child settle in. Your child will also need your ongoing support to help them understand about their birth family and why they were adopted. You will need to be able to help discuss their history with them in a respectful way and highlight the positives in their past. I’ve been lucky to adopt two special needs children who are now young adults. I was worried our first child would not accept us, but you just have to hang in there. You don’t judge; you accept your child for who he is and keep the lines of communication open at all times. Both children are close and feel a responsibility in caring for each other. Adoption has changed our lives. Not an easy option, but a good one for us. Where it is in their best interests there may be ongoing contact with the child’s birth family. Adoption is a lifelong commitment requiring skill, empathy, energy, patience – and a sense of humour! But there can be no greater reward than transforming a child’s life forever and building a happy, fulfilled family.